The University of Texas at Dallas, UTD is an innovative institution in the heart of North Texas on the path to achieving Tier One national research university status. Founded in 1969, The University of Texas at Dallas has evolved into one of the top research institutions in Texas and its programs in engineering and the biomedical sciences have gained national attention. With an enrollment of nearly 25,000, UT Dallas offers students a close-knit community with excellent student-faculty ratios of 21:1. However, UT Dallas is also backed by the powerful UT System and is aligned strategically with other institutions to offer advanced research opportunities traditionally found at larger institutions. The vibrant, dynamic and globally connected Dallas-Fort Worth area attracts a wide assortment of students and faculty to UTD. UT Dallas is ranked as a best value university by Kiplinger's and The Princeton Review and The Times Higher Education ranks UT Dallas as #1 in Texas, #2 in the nation and #24 in the world among the top 150 universities under 50 years of age. Kiplinger’s Personal Finance magazine ranked UT Dallas among the top 100 “Best Value” public colleges in the United States for 2016. The U.S. News & World Report's 2013 edition of Best Colleges ranked the University of Texas at Dallas in its top tier among national universities. In the same publisher's report for 2016, the university ranked at the 140th nationally and the 71st among public universities. The University continues its original commitment to providing some of the state’s most-lauded science and engineering programs and has also gained prominence for a breadth of educational paths, from criminology to biomedical engineering to arts and technology. Notable university faculty members & alumni include recipients of the Nobel Prize and members of both the National Academy of Science and National Academy of Engineering. The University of Texas at Dallas offers more than 138 academic programs across its eight schools and hosts more than 50 research centers and institutes. 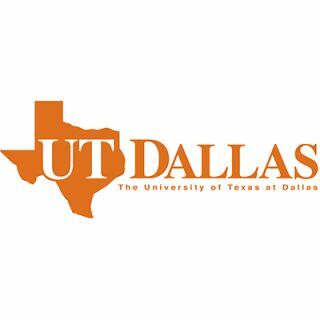 UT Dallas research projects include the areas of space science, bioengineering, cybersecurity, nanotechnology, and behavioral and brain sciences. With a number of interdisciplinary degree programs, its curriculum is designed to allow study that crosses traditional disciplinary lines and to enable students to participate in collaborative research labs. The U.S. News & World Report's 2016 rankings of graduate school programs ranked the Electrical Engineering graduate program at the 52nd in the nation, Computer Engineering at the 62nd & Computer Science at the 70th respectively. The Full-Time MBA program is ranked at the 33th. The Online MBA's Graduate Business program is ranked the 2nd in the nation and the school's MBA specialty of information systems is ranked the 16th by "USNWR 2016 Top Engineering Schools" US News & World Report. Cited in Richardson, Texas, UTD is in a prime location that places it in the second largest state and the fourth largest metropolitan area in the nation. Because of the two local airports, Dallas Love Field and Dallas/Fort Worth International Airport, the Dallas area is an international destination.